Here is what I cooked up for lunch today! Very quick and very good! Yesterday when preparing another chicken dish I had an extra boneless chicken breast. Being extremely busy with two recipes going at once I put the chicken breast in a small saucepan and cooked in water for about 10 minutes. Cooked, cooled and put in the refrigerator. Job done! I did not want to waste the chicken. Really I had no plans for it until I was on my way home from work starving!! I do love chicken salad. One of my favorites is on the menu at the Swan House in Buckhead along with their frozen fruit salad. Anyway cooked chicken is so versatile it can put together in many combinations. So go for it! It is a perfect dish for the novice cook. All cooking required is the chicken. And really you don’t even have to do that. Use a rotisserie chicken! In some stores you can buy them for a cheaper price than you can cook at home. 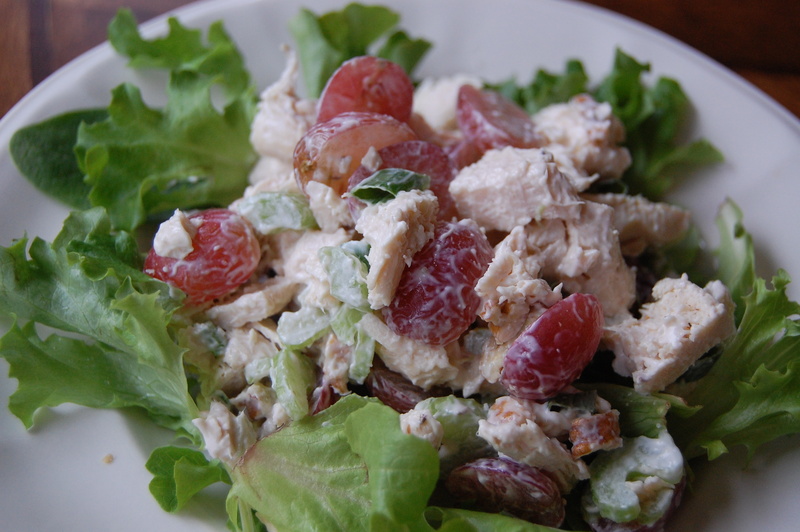 So don’t be afraid go make an original chicken salad that you and your family can enjoy. Mix all ingredients together and serve over salad greens and enjoy every bite! Serves 1 hungry person. Today was an amazing lab. It was as if every group was competing for Top Chef. First block you could hear a pin drop as they were hovered over their fruit precisely cutting to make an intricate design. Most all of the groups worked to their full potential . You can see this when viewing the photos. FANTASTIC!!! I think this recipe or one close to it is posted everywhere. In class yesterday we were trying to find ideas for putting the pizza together and there were hundreds of them. Some good and some very bad. I am still trying to wrap my brain around the “Kitty Litter Cake”! To each his own. Here are the instructions for putting the work of art together. Frosting – Mix 8 oz. 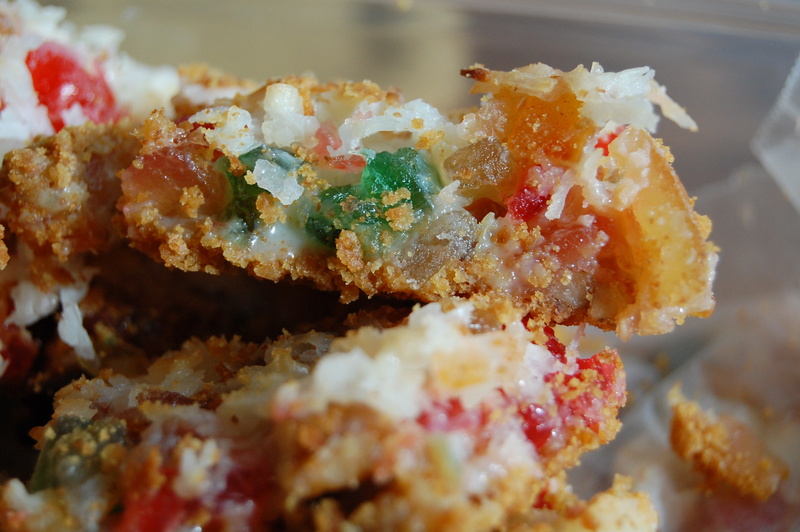 of softened cream cheese with 1/4 cup powdered sugar. Frost the cookie dough leaving about 1/2 of cookie around the edge. Place your favorite fruits of the top . Refer to the photos. Some fruits make a better choice than others. A good combination is strawberries, blueberries, kiwi and peaches. Be careful to choose colors that will pop on the frosting. Here is the Second Place winner. Congratulations to you both. Great job! !